Stunning landscapes. Unsettling discoveries. Evolution unleashed. Verloc Nim has travelled with his brother Conrad to the desert planet Ona(ji) to recover a mysterious experiment called Aama. Home to a group of scientists who have been left to their fate, the planet also plays host to an increasing number of technological and personal breakdowns. 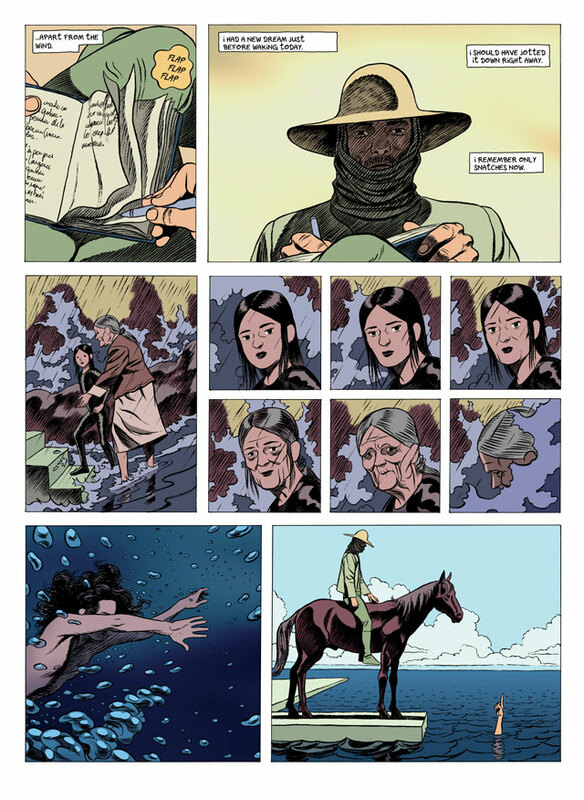 In The Invisible Throng, the second volume of Frederik Peeters' award-winning science fiction series, Aama, we follow Conrad's expedition across a hostile world, chasing a rogue professor and her precious cargo. 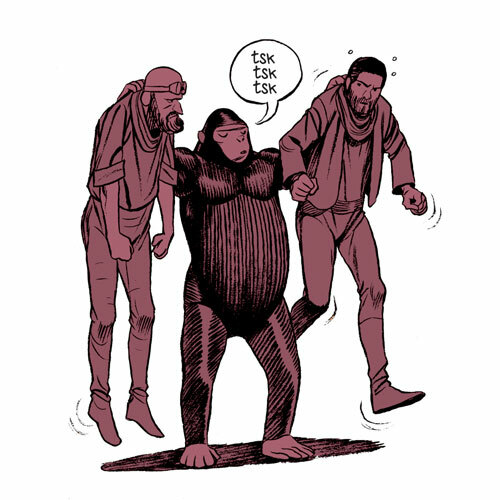 Accompanied by the robotic ape Churchill, the brothers and their colleagues find themselves on a perilous journey filled with startling encounters, breathless action and poignant memories of home. 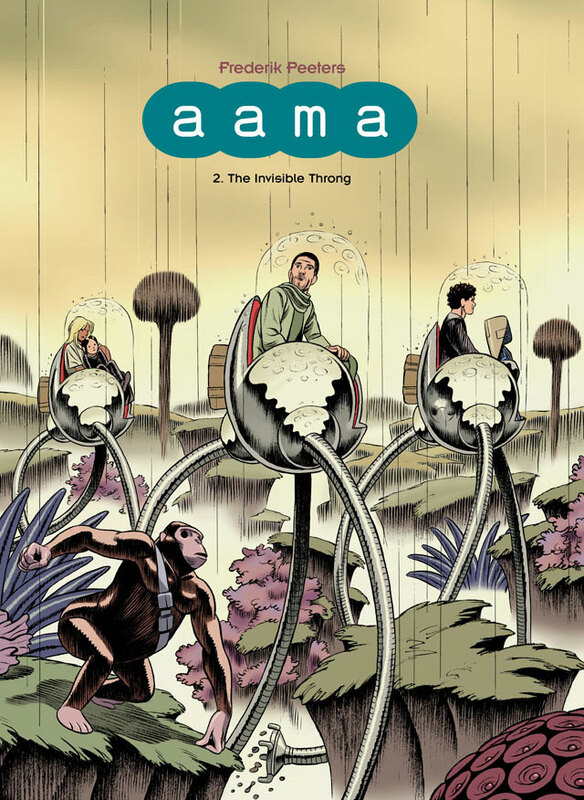 But as the implications of Aama's extraordinary power become clear, will anything ever be the same again? "Stop what you're doing right now and buy this book. It is beautiful... The art is sensual and captivating." 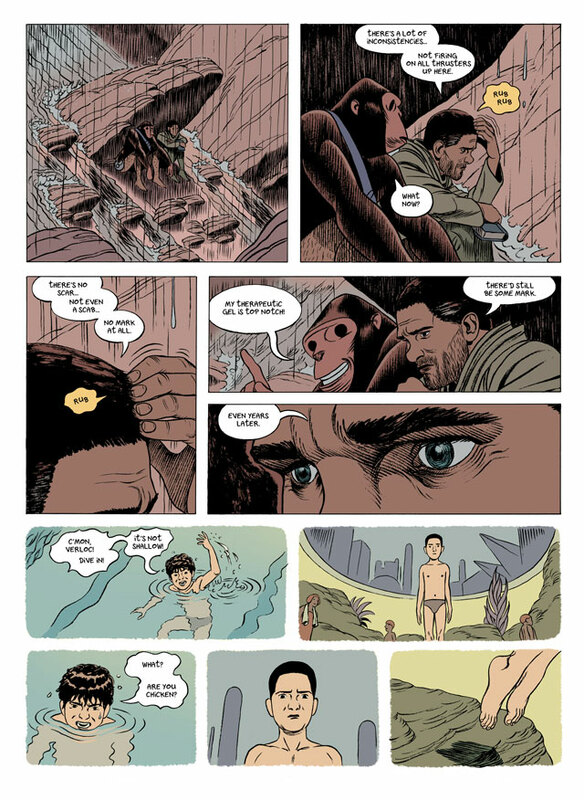 "It's like Prometheus reimagined by Hayao Miyazaki."